Laravel has a great mechanism of migrations, but what if you want to visualize your DB schema to see all in one place – to discuss with colleagues, for example. There is a great tool for that – here’s a brief overview of Laravel Schema Designer. Created by Thomas Roelens back in 2013, it still remains an active project – in 2015 it was updated for Laravel 5 version. 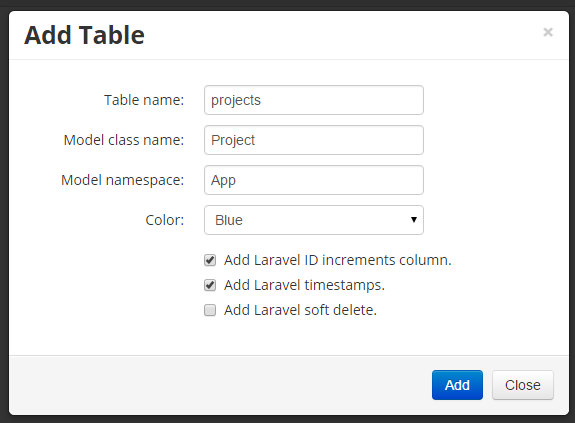 In short, LaravelSD is a place where you can create your database schema just by playing with tables/columns/relationships, and then – most important – generate your migration files from the visual schema. Basically, you register (takes 30 seconds), then go to the main page, enter your database name and start creating a schema. You start from a clear canvas and can add elements by clicking buttons on the top. 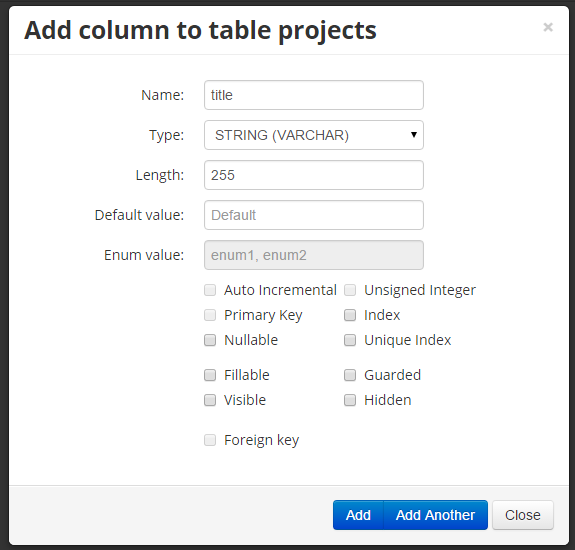 When you click Add Table, you get a popup to fill table name and other parameters. You fill them in and here’s the result – table appears on our canvas, with a lot of buttons to change, basically, anything you want: table, columns, order etc. 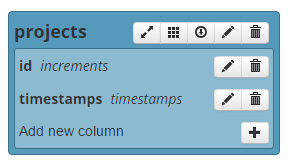 As you can see, there are Laravel increments and timestamps already prepared for you. You can also drag-drop fields to change the order. Let’s add another column title. Again, as you can see – a lot of options, related to Laravel functionality. 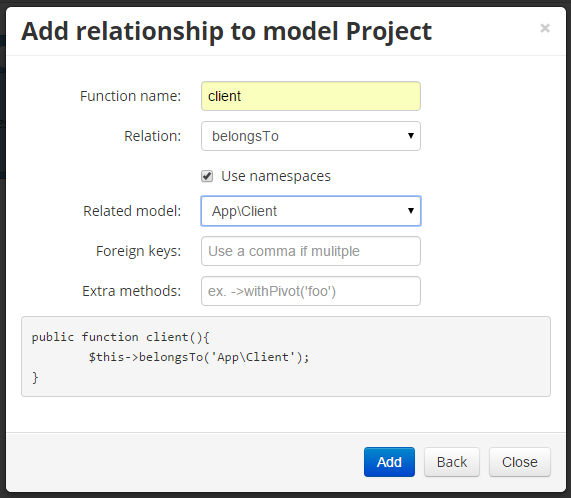 And another important feature – foreign keys and relationships between tables. Let’s create another table called clients and then link those two together. 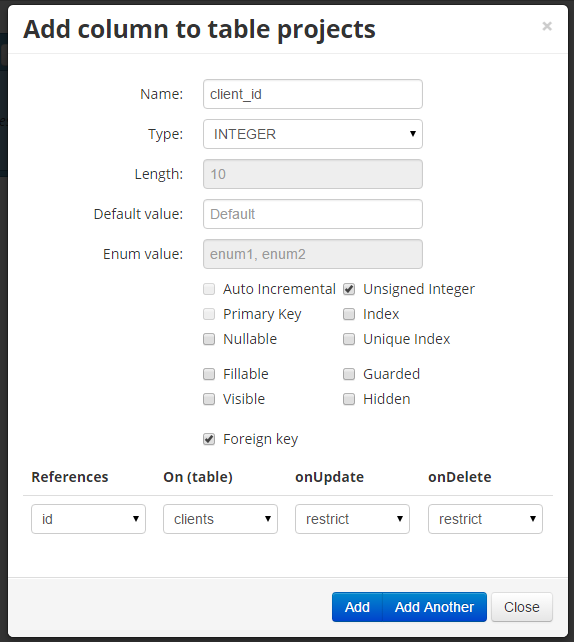 First – we create an unsigned integer column with foreign key. Then – create a relationship: there is a first button on the top. And here we have also quite a lot of things to choose from. All related to good old Laravel. Really impressive. So huge respect to the author again for such a tool – there are more functions to explore, so feel free to play with it and use for your projects. LaravelSD is a very useful tool. 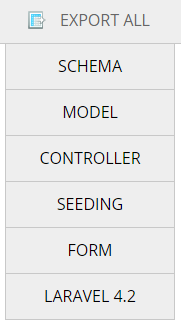 It not only helps me with creating migrations but also seeds, controllers, models (with relationships) and forms. I highly recommend it. This tool is extremely useful. I think it would be great if this was bundled with Laravel.